If your doctor has raised concerns about your cholesterol, they probably also recommended foods to enjoy and foods to stay away from. Oil, in particular, is often talked about with regard to people with high cholesterol. What oil should you eat? What oil should you stay away from? Should you even consume oil at all? These are all valid questions when it comes to eating and treating your high cholesterol. The bases of all oils are monosaturated fatty acids (MUFAs) – in other words, healthy dietary fats. By eliminating saturated and trans fats from your diet, and substituting it with MUFAs, you can experience better overall health. The benefit of MUFAs extends to improved heart health, lowered cholesterol, and additional benefits to blood sugar levels, so they are helpful for diabetics. Although oil in general can help improve your cholesterol, there is one type in particular which stands out from the rest. Corn oil vs. olive oil: Which is best for cholesterol? Up until now, olive oil was thought to be the best choice when it came to your cholesterol, but a recent study published in the Journal of Clinical Lipidology now suggests that corn oil may offer more cholesterol benefits. The study consisted of randomized, double-blind, controlled crossover clinical trials. Researchers aimed to observe the effects that dietary oil had on cholesterol. By comparing the effects of corn oil and olive oil on cholesterol, researchers were able to determine which oil reigned supreme. The participants, 54 men and women, consumed meals cooked in corn oil or olive oil. The group which consumed the corn oil saw drops in their LDL cholesterol (the bad kind) by 10.9 percent in comparison to the olive oil group which was 3.5 percent. Total cholesterol in the corn oil group saw drops of 8.2 percent compared to 1.8 percent in the olive oil group. These results were based on four tablespoons of oil which is recommended by the Dietary Guidelines for Americans. Although olive oil can improve cholesterol, when it comes to more dramatic drops in numbers, it’s better to opt for corn oil. But why exactly is corn oil the better option? Well, corn oil contains polyunsaturated fatty acids (PUFAs) which are beneficial in reducing the risk of heart disease. Furthermore, corn oil contains plant sterols which have been shown to reduce cholesterol. In comparison to olive oil, corn oil has four times more plant sterols. The U.S. Center for Disease Control and Prevention (CDC) estimates 73.5 million Americans currently have high cholesterol. Worse yet, only one in three of these individuals have their cholesterol under control. High cholesterol is a dangerous health threat and can greatly affect your heart. Managing your cholesterol is vital for good health. Enjoying a heart friendly diet with corn oil is an easy way to manage your cholesterol. 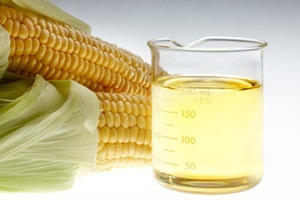 Corn oil can easily be used for cooking and even dressing vegetables and salad. But make sure you are following the dietary guidelines as oil is high in calories, so monitoring your intake is also beneficial. If you’ve been struggling with managing your cholesterol, it may be the right time to switch up your oils. And don’t forget to keep eating fruits and vegetables – plant sterols are found among these foods as well. Taking in as much as you can will help your cholesterol even more. Here’s to good eating!